Week 12 of the NFL season is set to kick off with three games on Thanksgiving Day. Many of the spreads in week 12 are rather large, but let’s take a look at five of the best games to bet on this weekend around the NFL. The Detroit Lions will host the Chicago Bears in their annual Thanksgiving Day game. This is a rematch of a game that was played two weeks ago in Chicago in which the Bears beat the Lions 34-22. The Chicago Bears offense was absolutely unstoppable in that contest, but the Bears could be without Mitchell Trubisky in this contest. Trubisky injured his throwing shoulder in the win over the Vikings, and his status is questionable. 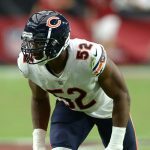 Fortunately for the Bears, they still have Khalil Mack and one of the best defenses in the NFL. The Lions have struggled to score all season long, and Chicago will keep Detroit to a low number. Bet the Chicago Bears -3.0 over the Lions in this game. The Cincinnati Bengals will host the Cleveland Browns in an AFC North battle on Sunday. The Bengals are only a three-point favorite in this game, which is a bit of a surprise. Cleveland has won just three games this season, but they did pick up an impressive win over the Falcons in week 11. Quarterback Baker Mayfield has shown glimpses of greatness this season but has also been wildly inconsistent. The Bengals have been horrible on defense for much of this season, but they should be able to get some pressure on Mayfield in this game. The status of wide receiver AJ Green will play a huge role in this game, but it is likely that he will suit up. This should be a competitive game, but the Bengals have too much offense for the Browns in this game. Look for the Bengals to win a wild affair in Cincy. Bet the Bengals -3.0 over the Browns on Sunday. The Los Angeles Chargers are a whopping 12.5 point favorite over the Arizona Cardinals on Sunday. The Chargers were off to a 7-2 start to the season but suffered a last-second loss to the Denver Broncos last weekend. Quarterback Philip Rivers has thrown for nearly 3,000 yards and 23 touchdowns this season but threw two costly interceptions in the loss to Denver. The Cardinals come into this game with a 2-8 record, but they have been competitive in recent weeks. Arizona lost by just 12 points to the explosive Kansas City Chiefs two weeks ago, and they are still playing hard. The Los Angeles Chargers are the obvious pick to win this game, but the Cardinals won’t get blown out in LA. Take the points and bet the Arizona Cardinals +12.5 in this matchup with the Los Angeles Chargers. Another road favorite this week is the Pittsburgh Steelers, who will be taking on the Denver Broncos. The Steelers have won six straight games to take control of the AFC North Division, while the Denver Broncos are clinging to playoff hope with a 4-6 record. 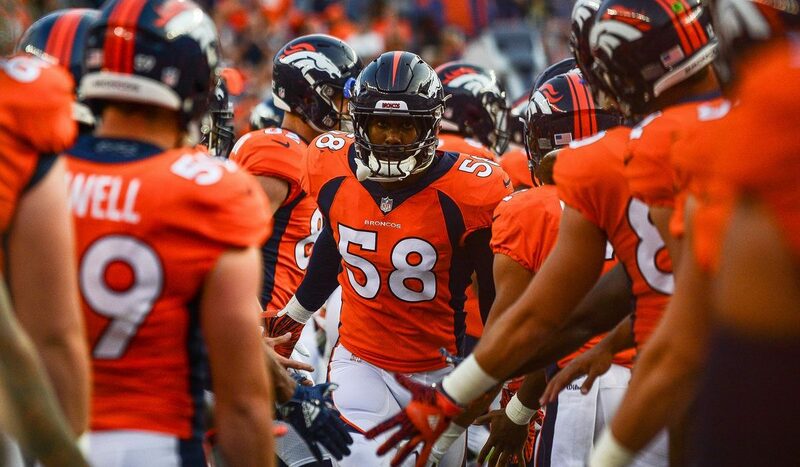 The Broncos stunned the Chargers in week 11, and they have one of the top defenses in the NFL. Denver also averages over 124 rushing yards per game which should keep the explosive Steelers offense off of the field. The Steelers are still the pick in this game because quarterback Ben Roethlisberger is playing at an extremely high level. Big Ben has thrown for over 3,200 yards this season, and he should take advantage of a depleted Broncos secondary. Winning in Denver won’t be an easy task, but the Steelers will get the job done. Bet the Steelers -3.0 over the Broncos on Sunday. 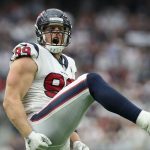 One of the best games of the weekend will take place on Monday night when the Houston Texans play host to the Tennessee Titans. The Houston Texans have won seven straight games to take control of the AFC South Division, but a Titans victory could close the gap for the playoff spot. Houston has won their past two games by a combined four points, and this game should be extremely tight as well. The Texans feature one of the best pass rushing attacks in football, with J.J. Watt leading the way. The Titans will have to find a way to keep quarterback Marcus Mariota upright and healthy in this contest if they want a chance. Mariota has dealt with injuries all season long and has thrown just seven touchdown passes this season. The Titans can play defense, and that unit should keep them in this game right down to the wire. Houston has won seven straight games, and they will make it eight with a victory over Tennessee on Monday night. Bet the Houston Texans over the Tennessee Titans.